Keep your magical secrets close to your heart in this 1920s vintage-inspired Fantastic Beasts and Where to Find Them Porpentina Goldstein Locket Necklace. 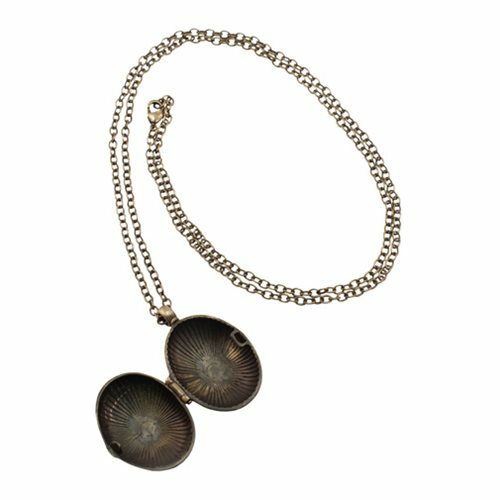 An excellent choice for everyday cosplay and costume wear, this brass locket opens to reveal an Art Deco starburst. Includes chain with matching antique gold finish and lobster claw closure. Makes a great gift for fans of J.K. Rowling's Wizarding World! The brass locket comes with a 30-inch long chain. Ages 14 and up.